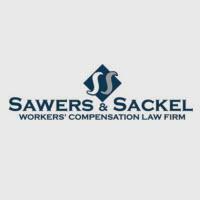 At the law firm of Sawers & Sackel in Buffalo, we are dedicated to helping injured workers throughout Western New York. Workers' compensation is all we do, and it's all we've done since 1996. Some workers' compensation law firms represent all sides: injured workers, employers and insurance companies. Not us. We only represent people who have suffered workplace accidents, so you know where our loyalties lie. Every day, we put forth our best efforts to help hardworking people get the benefits they need after suffering an on-the-job injury. Let us focus on your claim so you can focus on healing. No matter where you are in the process, you can benefit from our proven system. Even if you have already filed your claim and everything seems to be going your way, we can help you. We can make certain everything is being resolved as quickly as possible. We can check to see that you are getting every benefit you are entitled to. If the insurance company denies your claim, we will be ready to take action. We areprepared to do everything possible to maximize your benefits. No matter what part of the process your claim is in, we will begin with a free consultation. We handle claims on a contingent fee basis. We guarantee that we do not get paid unless you do. It's that simple. Every day, we stake our livelihood on our ability to make each case we handle a success. We have earned an impressive reputation for helping injured workers throughout Western New York.